While many of its popular beaches are packed with crowds, secluded pockets of unspoiled beaches are still aplenty, and home to the most beautiful beachfront luxury hotels and resorts. Discover the rich and grand resorts that offer impeccable service, the most indulgent luxuries, and magnificent beaches only a few steps away or situated just a few minutes walk from your private suite. With a beach villa where a private, talcum, white sand beach only steps away from your room, the Four Seasons at Koh Samui is truly captivating. 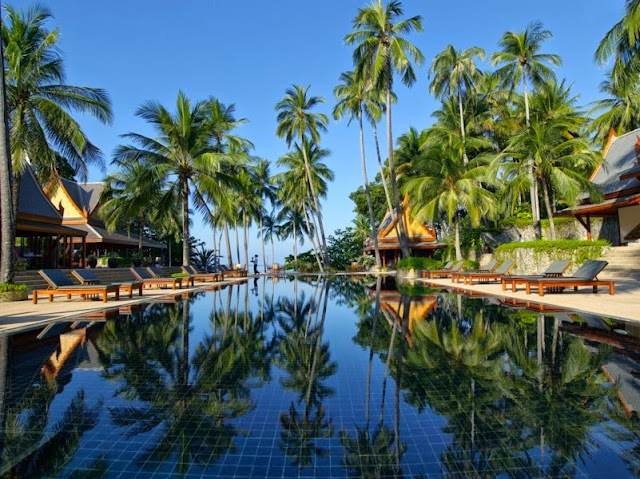 Located on the northern tip of the island, in a secluded and tranquil area of Laem Yai Bay, you can dine in style, retreat to your private infinity pool, or have the time of your life indulging in the resort’s seemingly endless list of experiences – all enjoyed with epic views of the Gulf of Siam. In Sanskrit, Trisara means “The Garden in the 3rd Heaven,” rings true to its palatial location amidst tropical forests and verdant gardens. Situated on a private bay, each of its 48 villas has spectacular ocean views, while its 2 to 6-bedroom residences offer privacy and luxuries for larger groups of family and friends. 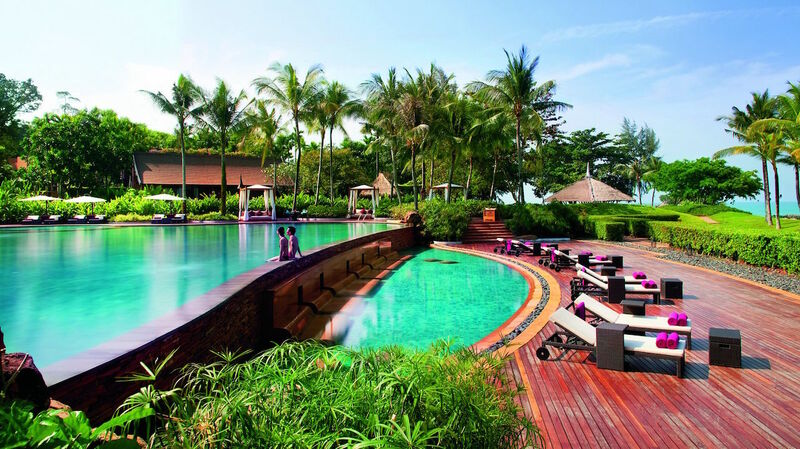 Located on Nai Thon Beach, the award-winning Trisara’s highlights include its beautiful private beach and its luxurious spa for some of the best therapies on the island. 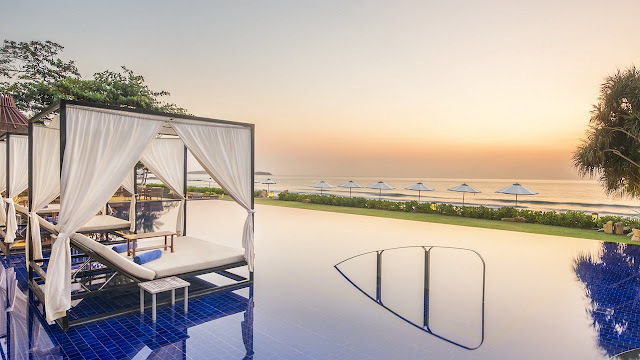 With the signature Ritz-Carlton unparalleled service, Phulay Bay offers absolute rest and relaxation, and accommodations that boast of unspoiled views of the beach and limestone karsts that tower over the distance. With 5 dining options, private plunge pools in each of the 54 villas, and 24-hour on-call butler services, you’d never want to leave Phulay Bay. 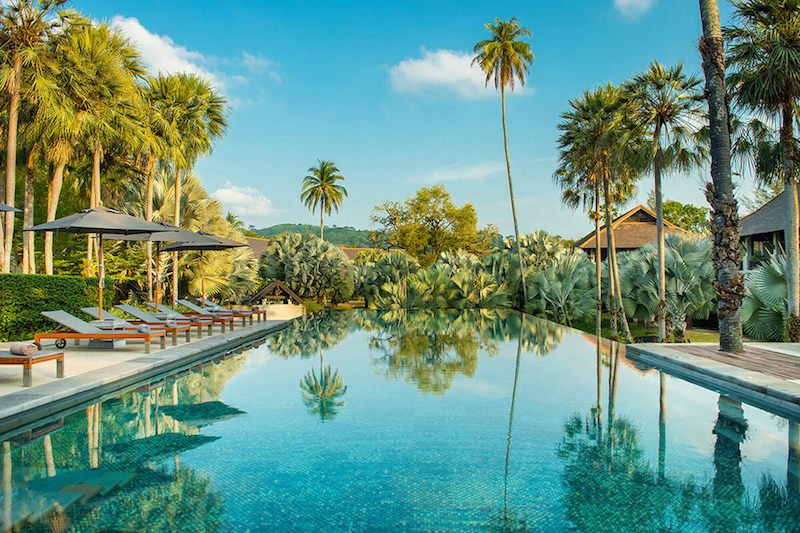 As part of the Aman group of resorts found all over the world, Amanpuri carries its signature luxury details, state-of-the-art entertainment facilities, and unmatched 5-star services. Multi-awarded, the Amanpuri’s suites and villas feature ancient Ayutthayan architecture details, giving you a truly genuine tropical Thailand immersion, all while being pampered and enjoying unmatched privacy and luxuries. Nestled on a hillside forest, Vana Belle features 80 suites and villas, each with a private plunge pool, a terrace, and undeniably stunning views of the ocean. 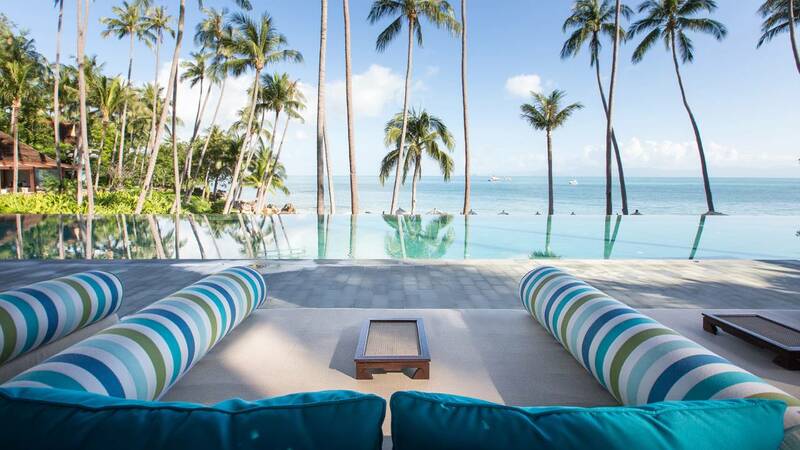 Located right on the Chaweng Noi Beach, it is only 15 minutes from the Samui International Airport, making its luxuries within convenient and easy reach. Located on the island of Koh Kood, Soneva Kiri is a must-experience if you want to enjoy a truly luxurious tropical getaway away from it all. Accessed through a one-hour flight from Bangkok on a private plane, its 24 large villas and 11 private residences offer exclusivity like no other. Among the resort’s highlights are their treetop dining pod, outdoor cinema, their mangrove restaurant, observatory, several dining options, and a stellar chocolate and ice cream parlor. Perfect for couples and families with kids, Soneva Kiri is hands down one of the best in Thailand. Located only 30 minutes from Patong’s vibrant nightlife and 40 minutes from the town of Phuket, get to enjoy the spoils of the island while being able to retreat to your very own private villa at the end of the day. Nestled on the quiet and secluded Pansea Bay, the Surin’s 103 cottages all face the beach and fringed with coconut trees and lush greenery for the perfect blend of warm and cool breezes enjoyed right at your beachfront villa. Featuring an unforgettable industrial chic aesthetic, The Slate, Phuket is truly a modern tropical paradise located on Nai Yang Beach. It doesn’t just have one, but 3 large outdoor pools with breathtaking ocean views, complete with decks featuring large lounge beds and sun loungers. One of the resort’s must-do is the Coqoon Spa, featuring The Nest, which is a private treatment room suspended from the air. 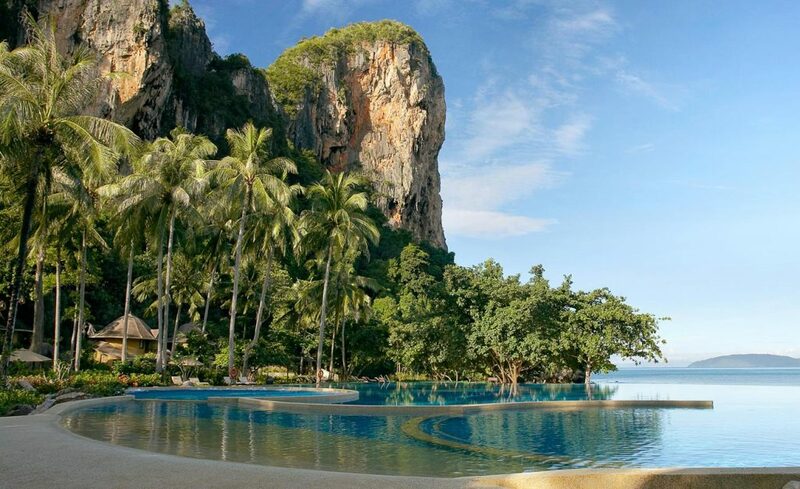 Rayavadee is surrounded on all sides by beaches, and its location on the tip of the Krabi Marine National Park tells you the luxury resort is embraced by some of the best flora and fauna found in Thailand. It’s on the beach, but its cool tropical breeze and rich natural wonders are its true indulgences. 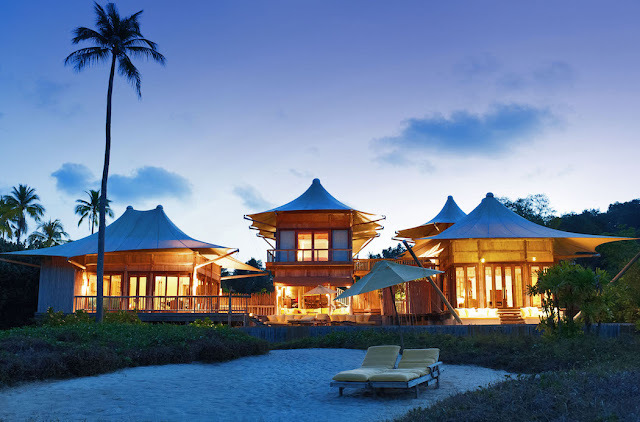 Spread over 26 acres, Rayavadee features exclusive suites and villas, 4 dining options, and plenty of options for adventures, giving you your best vacation while also enjoying a quiet and relaxing time lounging around in your villa or on their private, pristine, white sand beach. Getting to the resort’s unspoiled beach takes only about two minutes, giving you direct access to your private paradise. With 30 rooms and suites, and 47 pool villas, there are plenty of things to do and plenty of options to enjoy a relaxing and indulgent stay. The resort features 3 dining options, a spa, fitness center, outdoor pool, a cooking school, their very own Layan boxing stadium, a boutique, and a wedding chapel is found on the edge of a cliff – with a long list of activities to enjoy, you won’t ever have to leave the resort to experience a truly incredible Thai vacation. There you have it, the most beautiful beachfront luxury resorts in Thailand – with incredible accommodation, epic beachfront views, and unparalleled service that make your tropical holiday truly spectacular.